(WaPo) President-Elect Donald Trump -- who said he has a concealed carry permit -- called for the expansion of gun rights Friday, including making those permits applicable nationwide. Naturally, the Washington Post is appalled that a president or a president-elect in this case, would call for the proper implementation of the Constitution. It speaks volumes for the sort of jurist(s) that he will appoint to the US Supreme Court. The Washington Post and other leftist rags have called the slogan, "Make America Great Again", 'hate speech'. They suggest that it's misogynistic, racist, likely homophobic and Islamophobic. 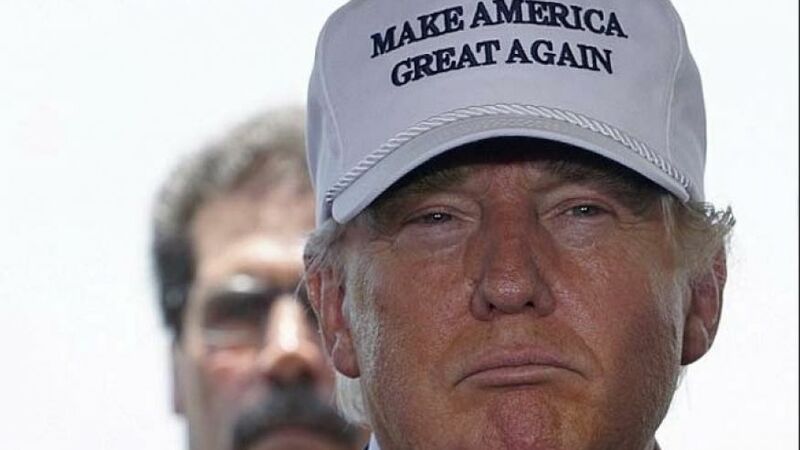 Clearly, America has a different approach to the issue than they do -- and it drives them mad. A person bet me that Trump wouldn't build the wall along the Mexico by the conclusion of his term and Mexico wouldn't pay for it. That will be the easiest $100 I ever earned. 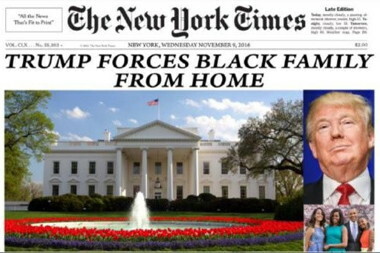 ...and in the mean time, the press is castigating President Trump for evicting a black family from their residence as "fair" reporting in the news continues. The Clinton News Network (CNN) announced prior to the election that if Trump didn't win with at least 300 electoral votes, they wouldn't consider it a plebiscite. When Michigan is called from Trump (presently in a re-count with Trump leading), he will get 306. CNN is disregarding requests to acknowledge that the will of the people was an overwhelming victory for him, a repudiation for the miserable Obama years, and the end of the Clinton Dynasty. Unemployed young people, living at home and being supported their parents are unhappy that Donald Trump was elected president. Each of them has a different grievance. Some think that blacklivesmatters, others want their student loans paid off the way that Hillary promised. Still other shouters and marchers are simply enjoying the party - because they don't have to go to work in the morning. In America, 114 million are employed full time. 106 million receive means-tested entitlements (welfare) (as opposed to Social Security payments for those of an age to receive that benefit). Of the 114 million employed, roughly half have jobs that are paid for from tax revenues - government workers. That explains in large measure why the budget doesn't balance. I'm sure that it's sexist, Islamophobic, racist, and violates all sort of politically correct safe space guidelines to discuss such things. Raising the minimum wage will mean that more people will be unemployed and that they will swell the ranks of those receiving means-tested entitlements.